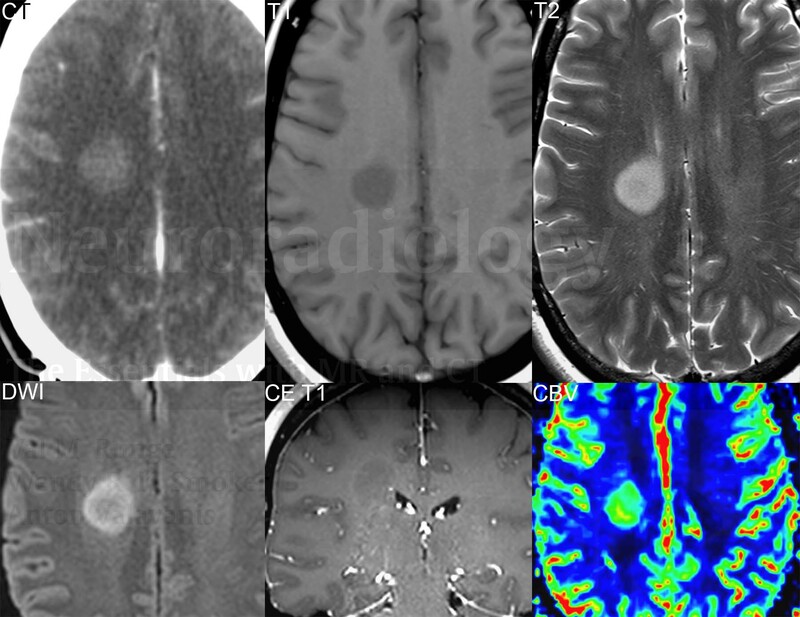 A focal, mildly hyperdense, lesion is noted on CT in the right centrum semiovale, with restricted diffusion and no abnormal contrast enhancement. rCBV is mildly elevated. 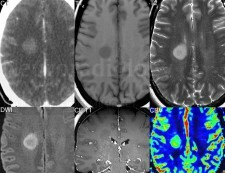 The hyperdensity on CT is unusual, with the diffusion restriction (confirmed on the ADC map, not shown) correctly suggesting a higher-grade lesion, with the lesion appearing on other scans to be of lower grade.